If you find a "soldering iron" with milk and eggs in the neighborhood supermarket, you will be suprized. It might be a new cookware developed by Phillips, You can bake Tofu deliciously. 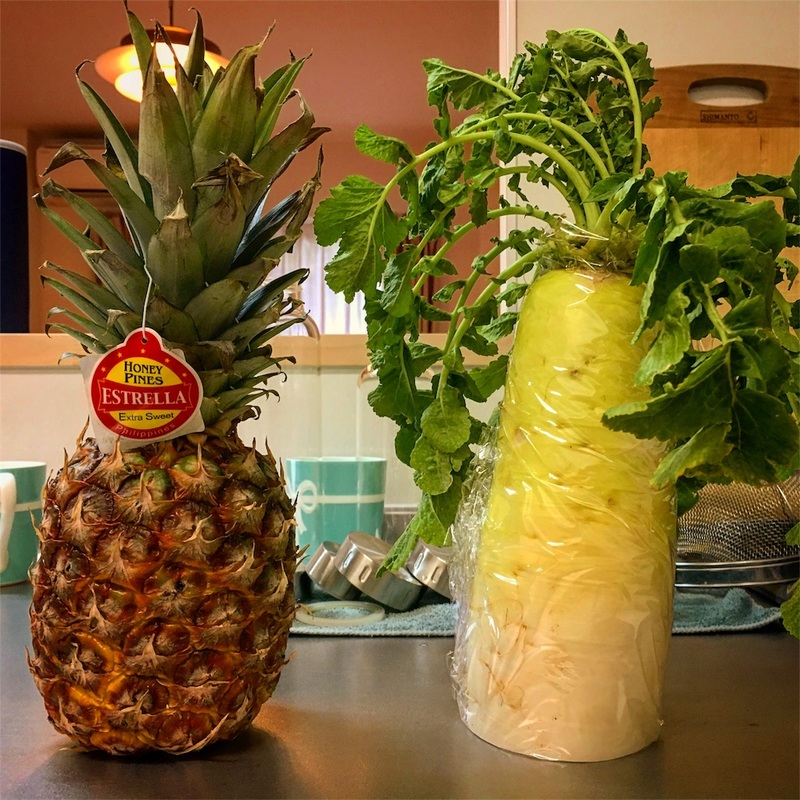 In a certain Michino-eki(rest area with parking), three large pineapples were sold, with locally grown radish, green onions and other vegetables. I saw it twice, but it was pineapple without doubt, no matter how many times I looked at. If there is a crop called pineapple in the countryside in Japan, that was exactly pineapple. "Did you get this pineapple in this village?" "No, I ordered it, I can not grow pineapple here." I wondered who would buy such pineapple, with vegetables and mushrooms at the Michino-Eki, but when I came in the evening the remaining pineapple was one. Then I bought this last pineapple for 250 yen and brought back to the room with a big radish. The article I wrote so hard last week has gone out with a few mistakes, so the motivation for PPAP BOX project was a bit depressed. But God of Make sends this pineapple to me and seems to say that it can be made until the end. Just great.